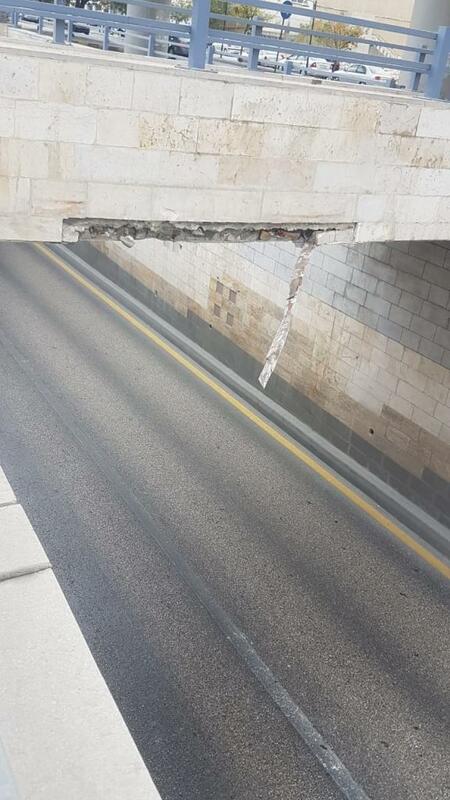 The Greater Amman Municipality (GAM) said on Tuesday, October 23, 2018, that the partial collapse of the bridge in Mecca Street does not pose any danger to the integral structure of the bridge. GAM added that the damage was a result of a traffic accident which had occurred earlier on Tuesday morning, noting that the cadres in coordination with the Traffic Department will remove the dangling part, and conduct necessary maintenance, after traffic is diverted from the area. 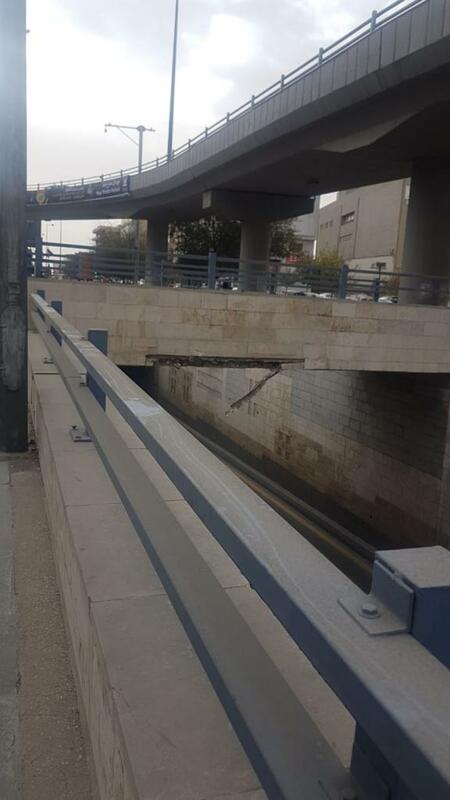 The Municipality also pointed out that it is currently carrying out a maintenance and rehabilitation tender for bridges in Amman, and work is done according to a timetable.